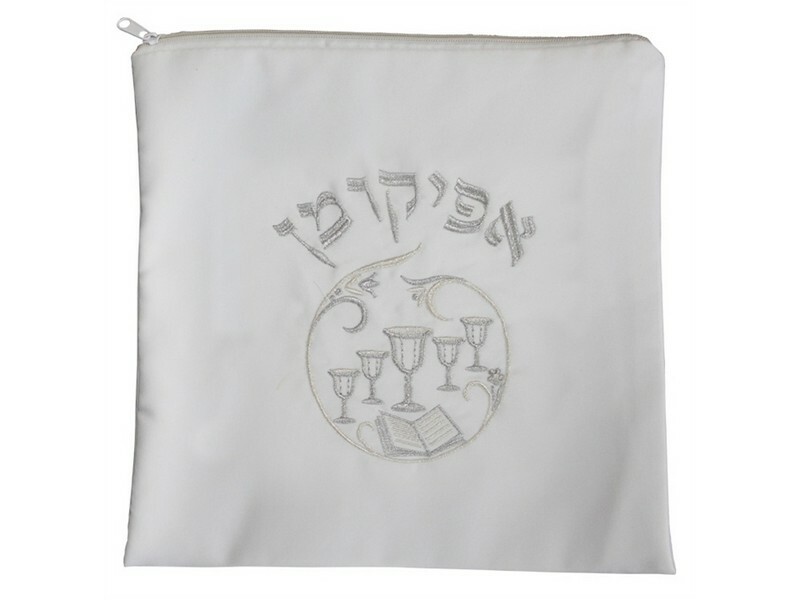 This Afikoman bag is designed with the Passover Seder motif of the Four Cups. The Four Cups are embroidered with silver thread. The larger center cup represents the Cup of Elijah. The image also includes a Seder Haggadah in the design. 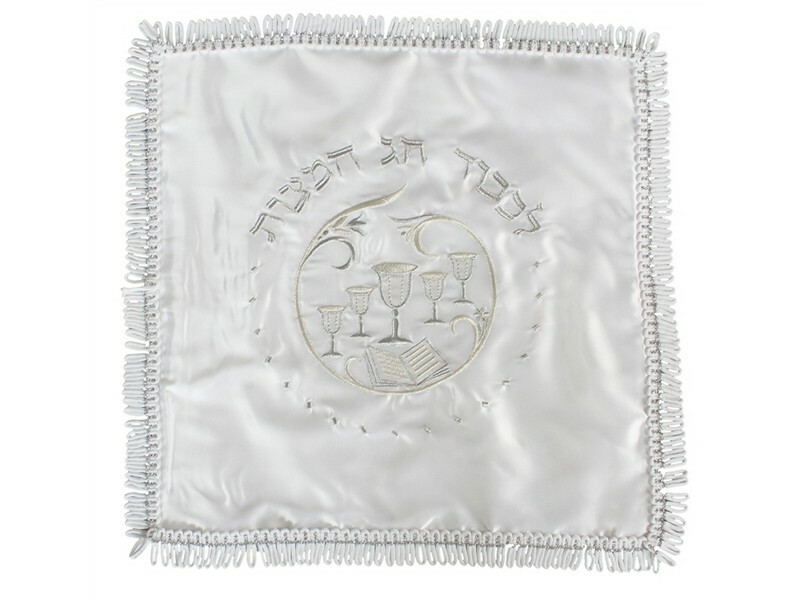 The Hebrew word “Afikoman” is embroidered in a semi-cicle above the design. The bag has a zipper on the top.